Get Quotes From Over 50+ Insurance Carriers in Minutes! Share the post "$10,000 Final Expense Quotes"
About 10,000 baby-boomers are leaving the workforce and retiring every day. Unfortunately, many of these retirees will lose their life insurance benefits when they leave the workforce. With death being an eventual certainty, it makes perfect sense to make certain that your final expenses are paid by burial or final expense policy rather than leaving these costs to surviving loved ones. Many people have heard of final expense insurance, but most do not understand exactly how it works and why it’s important. The following questions and answers are provided to help you understand and know what you don’t know about final expense insurance. Final expense insurance also referred to as burial insurance, is a life insurance policy with the death benefit designated to pay for your final expenses. In today’s economy, a moderately priced funeral and burial cost about $10,000. Rather than leave this enormous bill to surviving loved ones, you can purchase final expense insurance to make certain that the money will be available in the event of your death. Which Type of Life Insurance Works Best For Final Expense Insurance? Although there are several life insurance products to choose from, Whole Life Insurance is the better choice for a burial insurance plan because it remains in force for your lifetime as long as you pay your periodic premium. Other types of lower-priced policies such as Term Insurance, have an expiration date which means you could outlive your policy. How Much Final Expense Insurance Should I Buy? This depends on whether you prefer a traditional burial or cremation and how much you’d like your beneficiary to spend. Most companies offer final expense insurance with benefits between $1,000 and $30,000. Since the costs of funerals and burials vary across the country, you should contact a reputable and licensed broker for advice regarding the costs of funerals in your area. Nationally, a moderately priced standard funeral costs about $10,000, and cremation costs about $5,000. Many policyholders elect to purchase additional insurance to take care of other final expenses such as nursing home costs and other debts. Below, we have provided actual $10,000 final expense quotes. Does the Death Benefit Have to be Used for Funeral Expenses? No. Your beneficiary can use the death benefit in any way they choose. Your insurer’s responsibility is to pay the death benefit to the named beneficiary. This is a great example of why you should choose someone you trust to take care of your final wishes and discuss your wishes with them. What is the Maximum Age I Can Purchase Final Expense Insurance? Most insurers that offer burial or final expense insurance are willing to issue a policy for applicants up to 85 years-old. This is certainly not a good reason to wait to buy your final expense insurance since the rate you pay is based on your age at the time of the purchase. Each year you put off purchasing final expense insurance, your monthly premium increases. Will My Monthly Payment Increase When I Get Sick or Older? No. Once your final expense insurance policy is issued, it can never go up as you get older or become ill. Your periodic premium is guaranteed to remain the same for the life of the policy. Can The Insurance Company Cancel My Policy? The insurance company can only cancel your policy if you do not make your periodic premium. There are no other reasons the insurer can cancel your policy. What Happens If I’m Ill and Need To Purchase a Policy? If you have health issues that prevent you from purchasing a standard policy, many insurance companies offer “guaranteed issue” policies that do not have medical questions or require a medical exam. This type of policy has a waiting period of 2 or 3 years before the insurance company will pay the death benefit for death from natural causes. They will, however, pay the death benefit if the death results from an accident from the first day of coverage. Since the insurer does not collect underwriting information about the applicant, they will typically charge more for a guaranteed issue policy. Can I Have More Than One Type Of Insurance Policy? Yes. Many people carrier multiple insurance policies that are designated for different things. For example, you may want to have a large term policy to pay off your debts and replace your income, a mortgage protection policy to pay off your home, and a final expense insurance policy to pay for funeral and burial expenses. Where Can I Get The Best Price Final Expense Insurance? Although you can purchase burial insurance directly from an insurer, it makes better sense to go through a reputable licensed broker since you are not charged for taking advantage of their experience. Most independent insurance brokers represent many of the best companies that offer burial insurance and will shop them for you, and then walk you through the purchasing process. We have listed below $10,000 Final Expense quotes so you can understand how affordable final expense insurance can be. 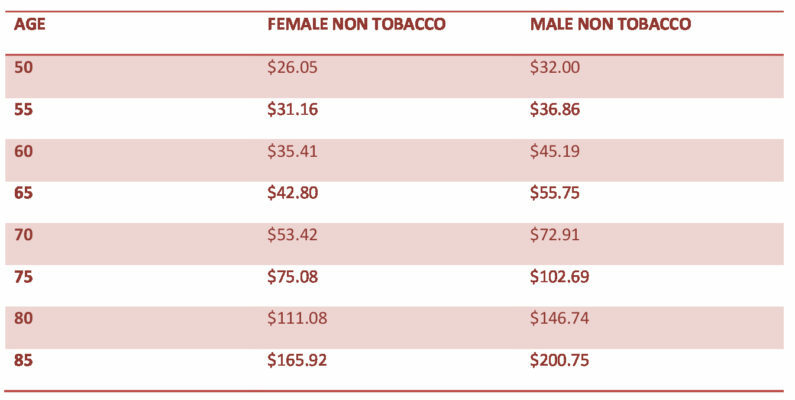 Rates are based on non-smokers. Those who smoke will pay a lot more insurance premiums. The monthly rates are determined by your age group. For a quote based on your exact age, simply fill out our instant quote form. We represent many highly-rated life insurance companies but feel this selection will provide an accurate picture of the premium you can expect to pay. For a firm quote based on your current age, please use our quote engine on the right side of this page. In some cases, our applicant’s health history may be such that they will not qualify for a level benefit insurance policy. In these cases, we can recommend a “guaranteed issue” final expense policy that does not take your health into consideration. You will notice from these two rate charts that women generally pay less for life insurance. This is because since women on average live longer than men, the insurance company expects a longer time period to collect premiums. For more information about $10,000 final expense quotes and to get an accurate quote based on your particular age, you can use the quote engine on the right of this page, or call our insurance professionals at (888) 773-1181. For assistance call 1-888-773-1181 9am-8pm M-Th, 9am-5pm Friday (Eastern Time). Joshua S Docktor is a licensed life and health insurance agent in 31 states. The following agent license numbers for Joshua S Docktor are required to be displayed by state law: CA license #0H32604, LA license #529416, MA license #1913996MN, agent Joshua S Docktor DBA Docktor’s Insurance, Inc. Commercial use by others is prohibited by law. 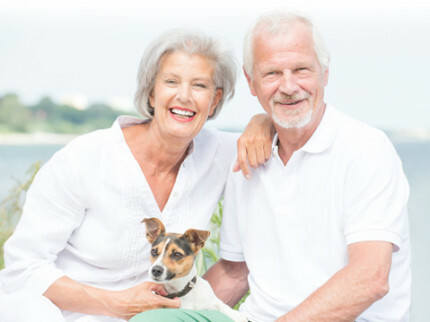 No portion of DocktorsInsurance.com may be copied, published, faxed, mailed or distributed in any manner for any purpose without prior written authorization of the owner. © 2015 Docktor’s Insurance, Inc. All rights reserved.